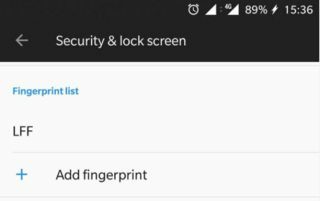 Is there a way to disable fingerprint reader on OnePlus 5T? I'm using a OnePlus 5T, which is running Android 8.1. Since the face-unlock works perfectly, I don't need the fingerprint reader much. In addition, I often touch the reader accidentally and the phone gets unlocked without my intention. I only see the following settings related to fingerprint. I couldn't find any option to disable the fingerprint reader. Actually I don't know what happens when all fingerprints are deleted, but I don't want to delete them. Is it possible to disable the fingerprint reader without deleting fingerprints?